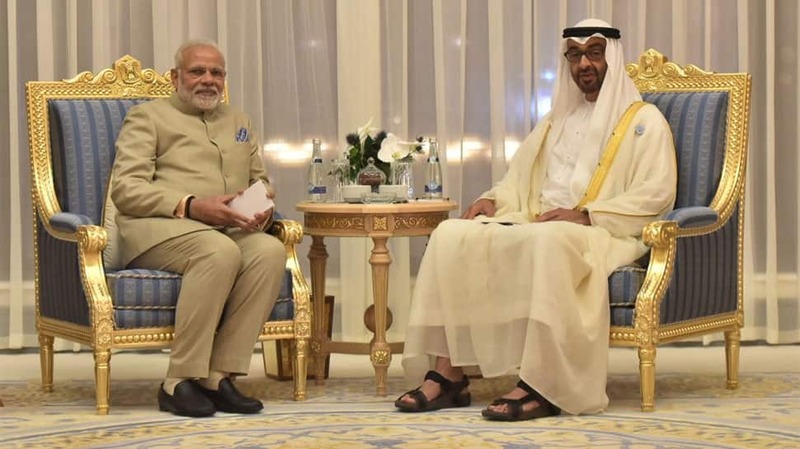 PM Modi held wide-ranging talks with Crown Prince of Abu Dhabi on Sunday as the two sides signed five agreements. 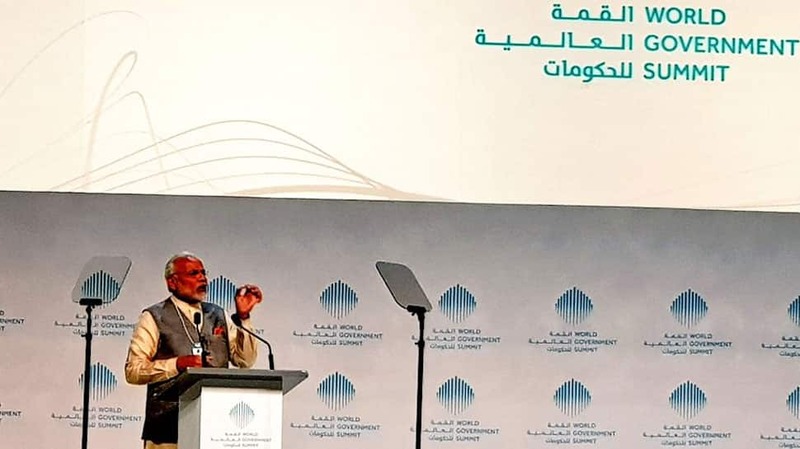 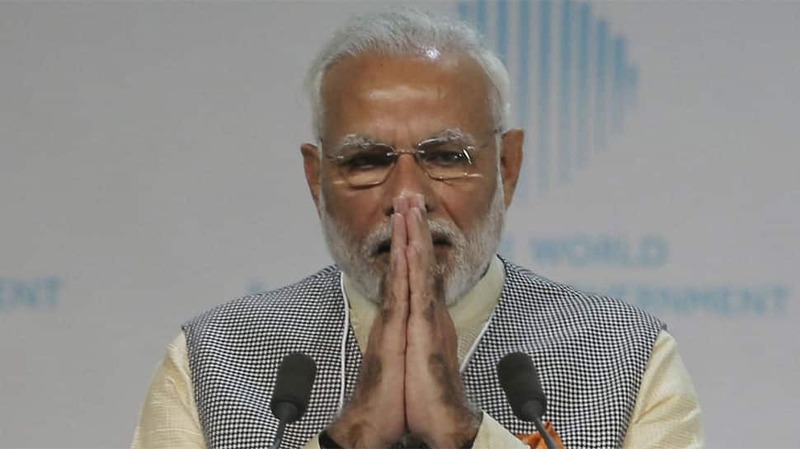 Prime Minister at the World Government Summit in Dubai, United Arab Emirates. 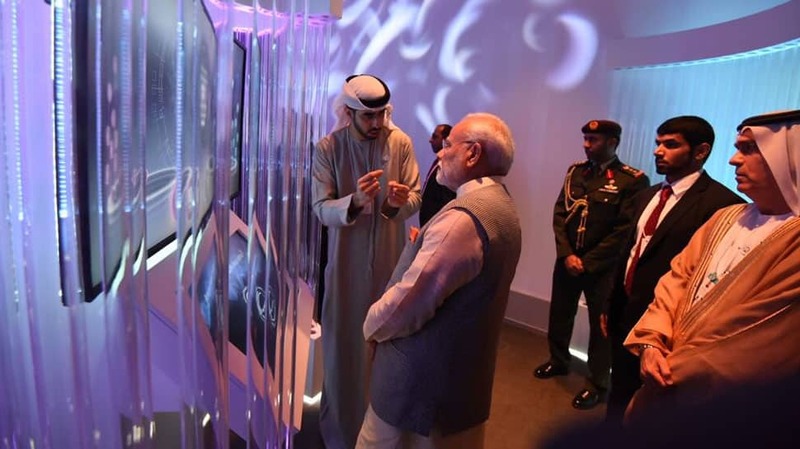 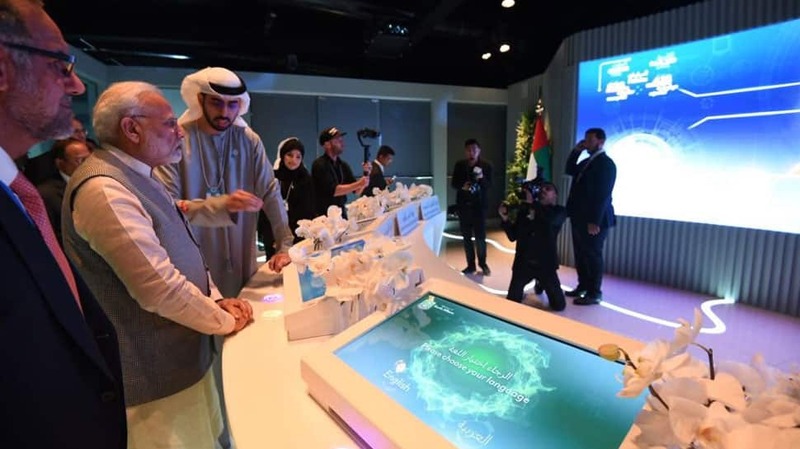 PM at the Museum of Future where cutting-edge and innovative technological and scientific solutions aimed at futuristic innovations are displayed. 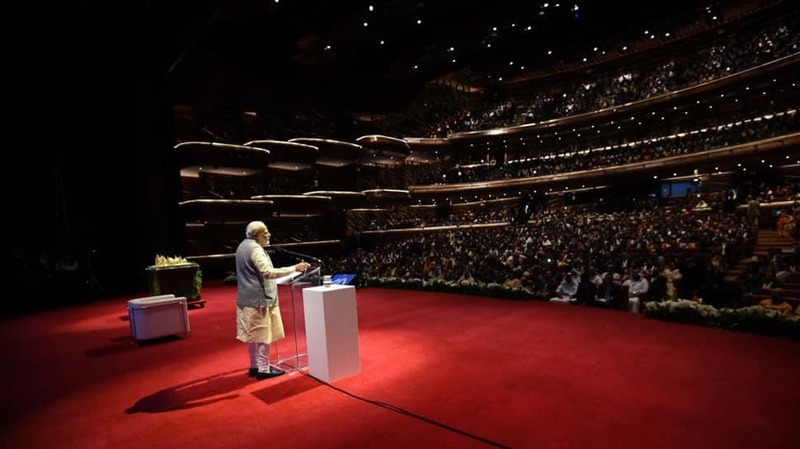 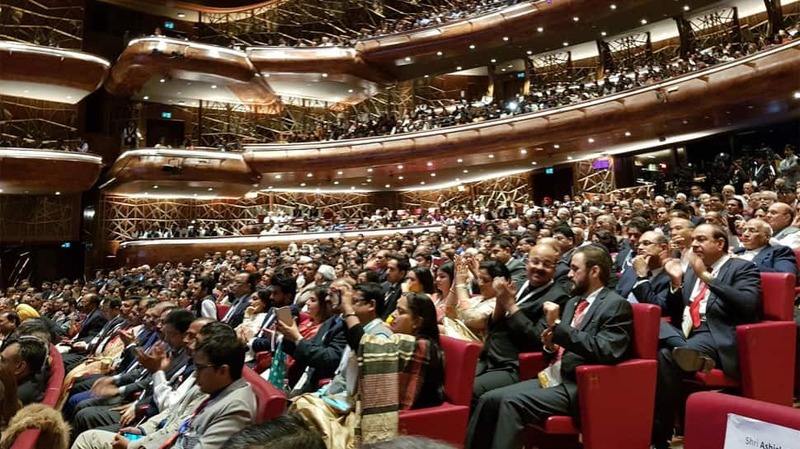 PM addresses the Indian community at the iconic Dubai Opera. 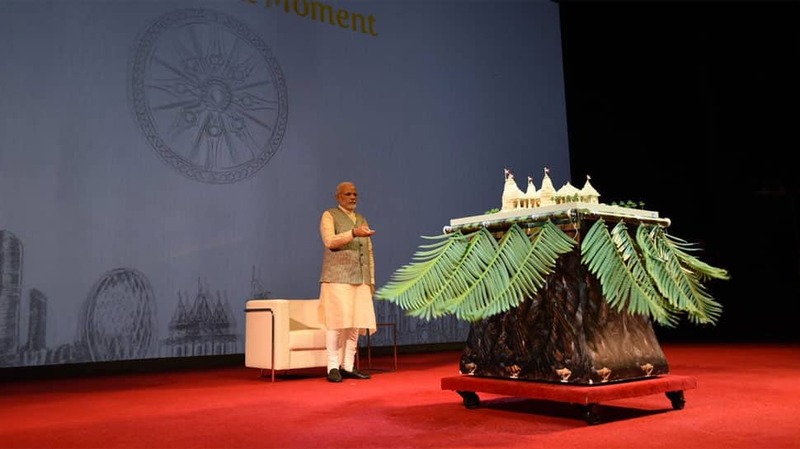 This is how the first Hindu temple in Abu Dhabi would look like once completed. 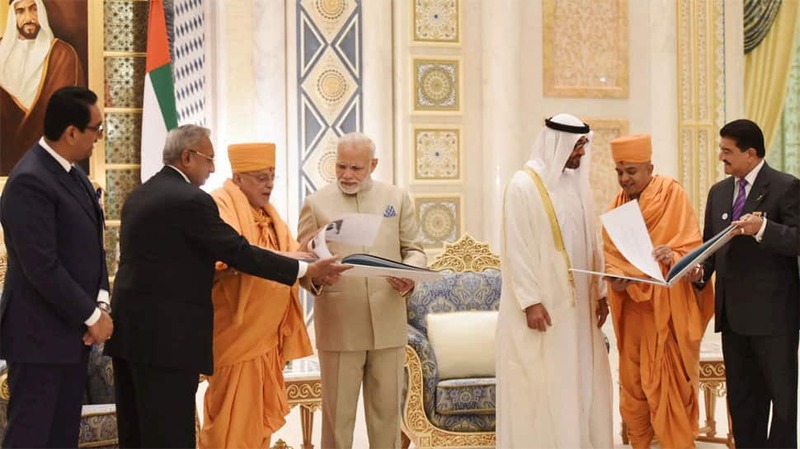 Temple committee members presenting the temple literature to the Crown Prince of Abu Dhabi and PM Modi. 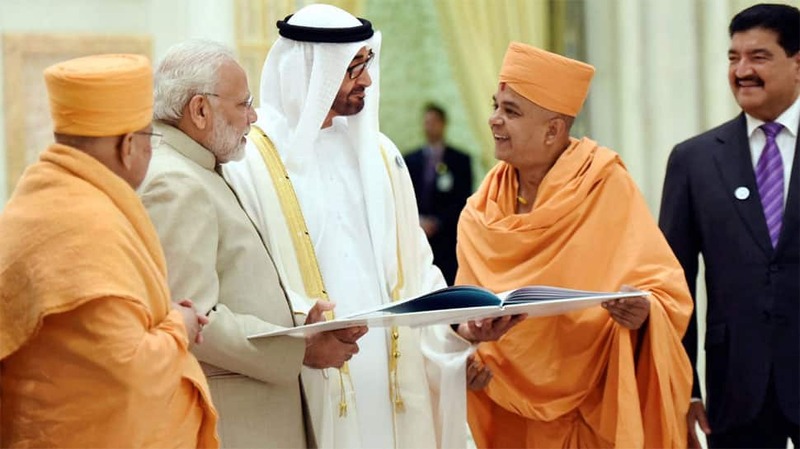 This will be the first stone temple to be built in Abu Dhabi off Dubai-Abu Dhabi highway. 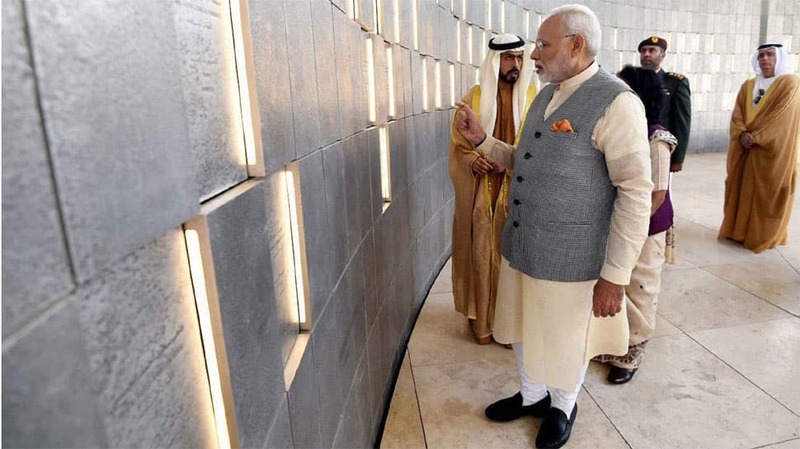 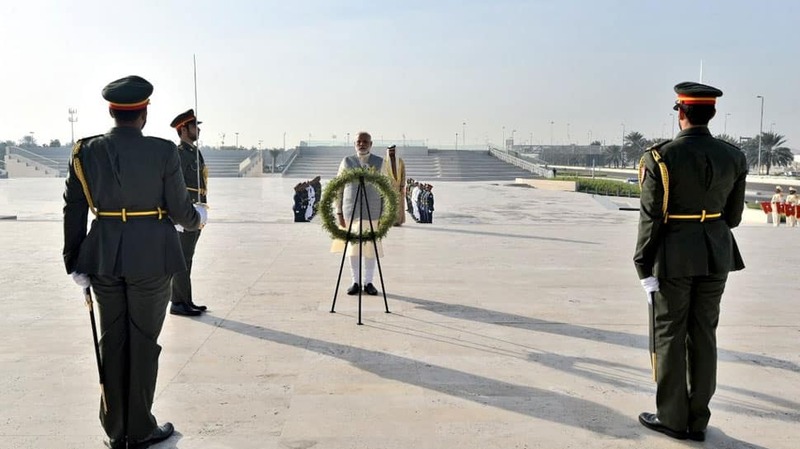 PM Modi paid tributes to brave soldiers of UAE who made ultimate sacrifice in the service of UAE at Wahat Al Karama, 'Oasis of Dignity' in Abu Dhabi. 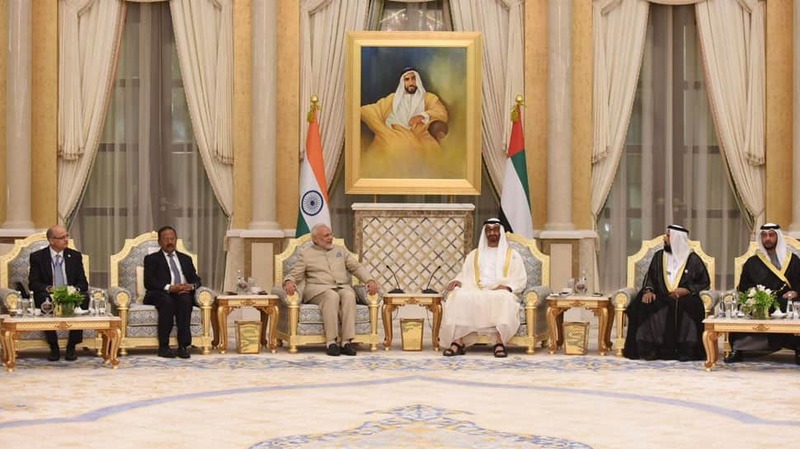 PM led the delegation-level talks with the Crown Prince of Abu Dhabi at the Royal Palace. 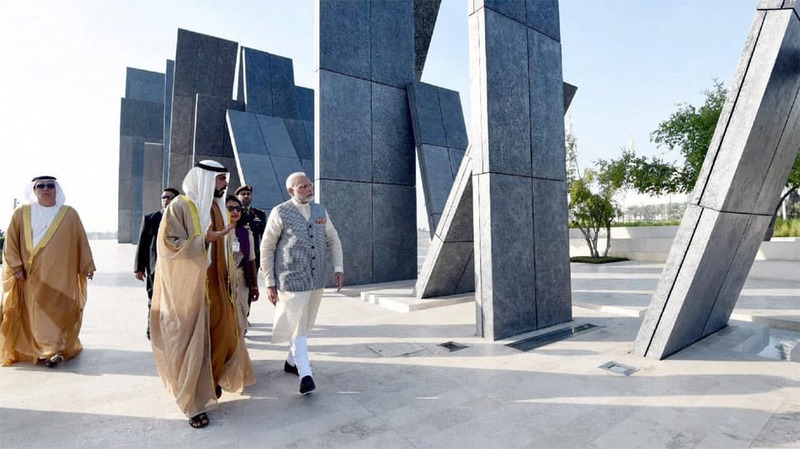 PM was the first foreign leader to be invited to this palace by the Crown Prince. 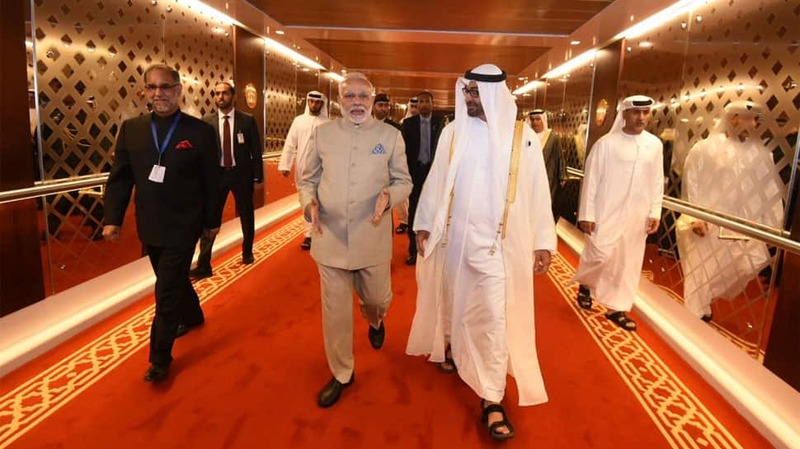 PM arrived in Abu Dhabi, United Arab Emirates to a ceremonial welcome. 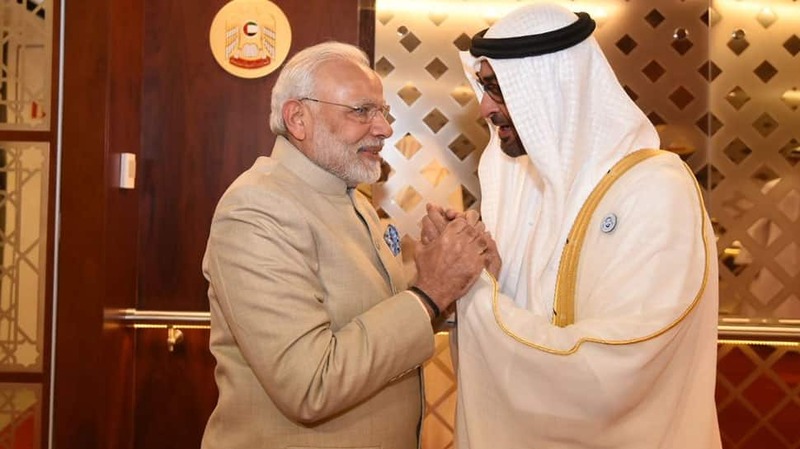 He was personally received by Crown Prince of Abu Dhabi and other members of the Royal family.